The Pillsbury Law technology blog is an online resource for lawyers from the Pillsbury Winthrop Shaw Pittman LLP law firm. It is just one of many examples of the usage of blogging in businesses. Pillsbury Winthrop Shaw Pittman LLP is a law firm with associates throughout the United States and around the world. 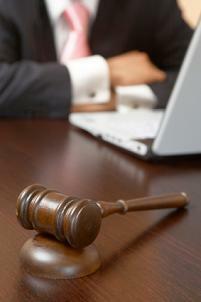 Its 800 attorneys practice in many specialties, including technology and nanotechnology. Pillsbury Winthrop Shaw Pittman can help firms protect intellectual property rights, navigate complex tax and trade issues, and create contracts for outsourcing and joint ventures with international partners. Warren Jones' blog, Library and Lab, includes the Pillsbury Law Technology Blog. The blog includes information on technology initiatives undertaken by Pillsbury lawyers in an effort to reduce costs and increase efficiency. While the posts would be of most interest to those in the company who will be affected by the implementation of any changes, general readers can find use in descriptions of computer tests and potential software and hardware choices. Doing a search for the phrase "Pillsbury Law technology blog" will lead you to the previously mentioned blog and the Pillsbury Winthrop Shaw Pittman LLP Web site. However, it will also bring up a number of seemingly unrelated blogs and sites. Services that track online searches have determined that it is a term hundreds of people search for each month. Webmasters and writers insert these keywords into their pages in the hopes of luring some of that search engine traffic their way. It is an interesting phenomenon in the online world. However, if you're trying to draw traffic and repeat visitors to your blog, stuffing it with unrelated keyword phrases is not the way to go.